Stitchery was created by two friends and needle arts instructors . Their shared passion for the preservation and instruction of traditional needle arts brought them to the realization that an instructional studio space would be a perfect environment for sharing and nurturing the joy of such traditional arts. I have been sewing my entire life—starting at age 5 and never stopping. My Masters in Education degree in Curriculum and Instruction from William and Mary, several years teaching high school, and 6 more years on the artisan fair circuit selling handmade bags and accessories, plus continuing to run a successful Etsy shop, have merged into a new career, teaching sewing lessons since 2015. In addition to teaching a wide range of children and adult classes at Stitchery, you might also see me teaching at various libraries around the state of Rhode Island, and mentoring youth sewing pillowcases for the patients at Hasbro Childrens Hospital. Traci learned to knit from her Nan when she was little and she was always in awe of her grandmother's practical needle work skills. Returning to knitting in earnest while expecting her son ( who is now 18) she has been knitting and sewing away ever since. 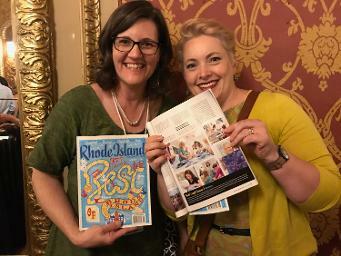 Her combined love for promoting all things fiber arts and Rhode Island brought about the state's first yarn crawl, various workshops and classes, and involvement in guilds and festivals. She loves to teach all sorts of practical crafts and skills and really believes that the knowledge needs to continue to be passed on to future generations. Traci is a knitter, spinner, sewer and somewhat weaver. She loves the fiber arts community in Rhode Island and has made many fabulous friends because of it, many of who are amazing artisans in their own right. In addition the Studio will be available for private events. Please use the contact form below to email us about holding your event at Stitchery.